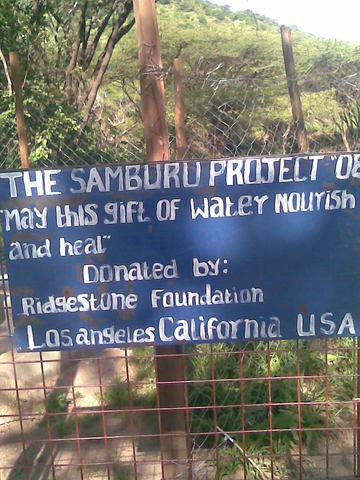 Funded by Ridgestone Foundation, The Samburu Project drilled and installed a shallow well equipped with a handpump in this community. The women used to walk 8 km and now the well is in close proximity toT the village.The water is clean unlike before. Livestock is now able to take water during droughts. 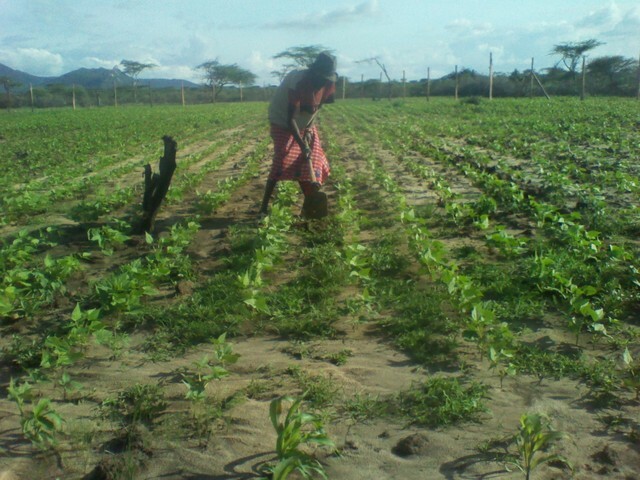 Women now have time to go to town, buy food and look after their children. 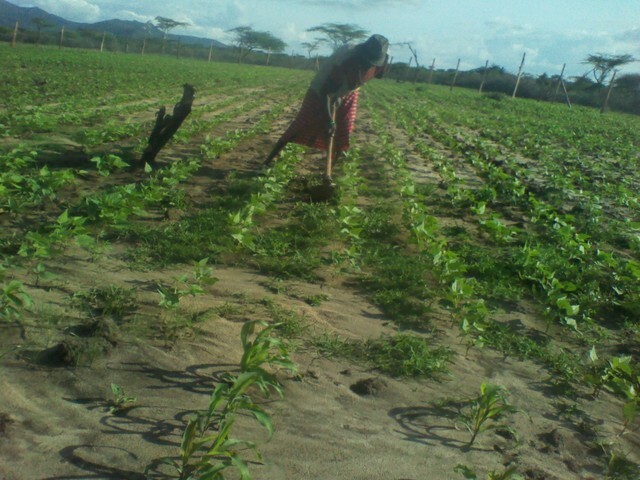 Girls have time to go to school. Last Tuesday, Iddi Letiatiya, the chairman of the Margwe community, came to the office for a meeting with Lucas and me. Having yet to visit this well, Lucas informed me that the Margwe community is the role model of how a community should take care of their well. They have taken great measures to protect the well and educate the community on how to maintain it. In fact, Paul, the person in charge of well maintenance and fixing repairs for all 40 of our wells, is from this same community! I can see by the hours Paul puts into the job and the desire he has to quickly repair each well that he has a great appreciation for these wells and tries to impart this sense of pride and ownership to all of the communities. Based on my experience with Paul I already had a good feeling about this community. 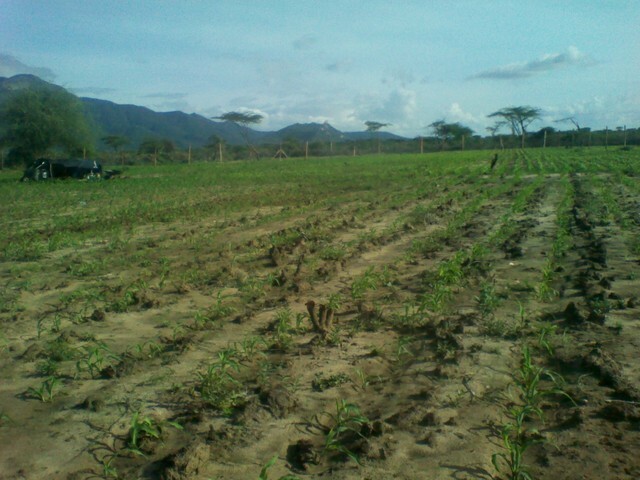 As a result of them truly taking responsibility of this well, their initiative to start their own farm, and the fact that this well has the second most amount of water in the aquifer out of all our wells (first being Millimani), Lucas and Reuben, our agricultural consultant, chose to enhance this well with a generator and drip irrigation system that was funded so generously through a grant from the M. Night Shyamalan Foundation. 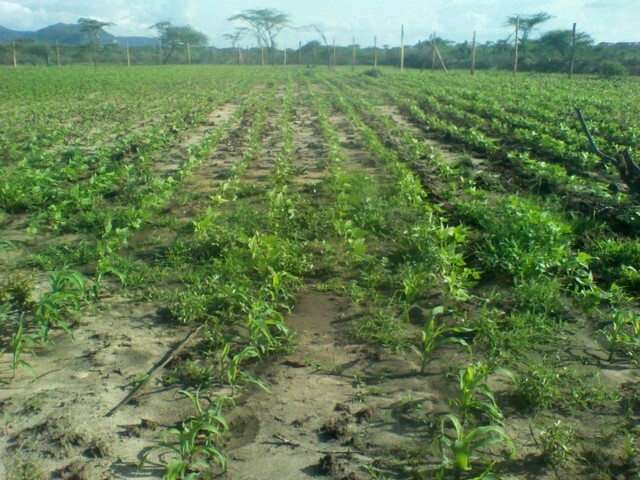 After Lucas described the phases to this agricultural initiative and his expectations from the community, it was Iddi’s turn to speak. 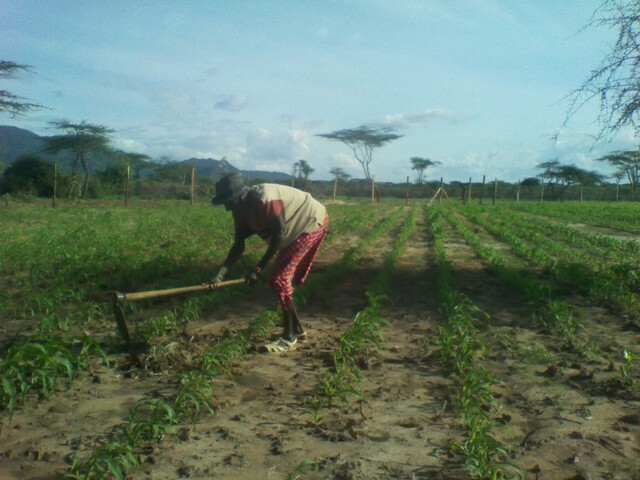 He began by saying thank you very much and said that before The Samburu Project began its work in this area, there was nothing- there was no water and consequently no life in this community. 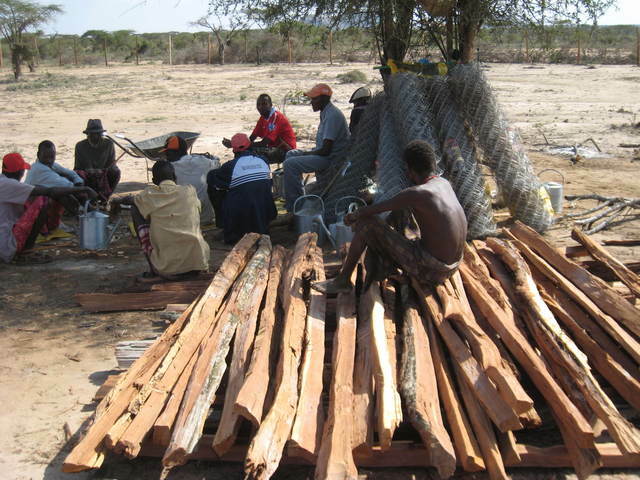 Before the well, his people had to walk many kilometers to find areas that had water. When they finally arrived at those areas they would have to dig hand dug wells that were at least 12 feet down. This was a three man job and was very dangerous- there was one man at the bottom of the hole scooping the water and handing it to the second man who was on his shoulders and this second man would then hand the water to the third person who would be able to reach the surface. Iddi recalls an incidence where livestock was crowding around the hole and one cow ended up pushing another cow into the hole which badly hurt one of Iddi’s friend that was still in the hole. 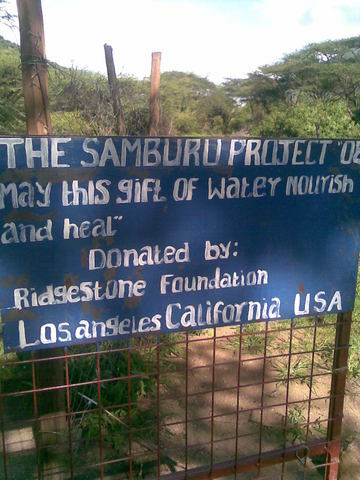 Iddi says that he does not have the words to thank The Samburu Project for giving them the well. Because of the well, they are seeing so many benefits- with water they are able to undertake big projects that they could never have fathomed before. 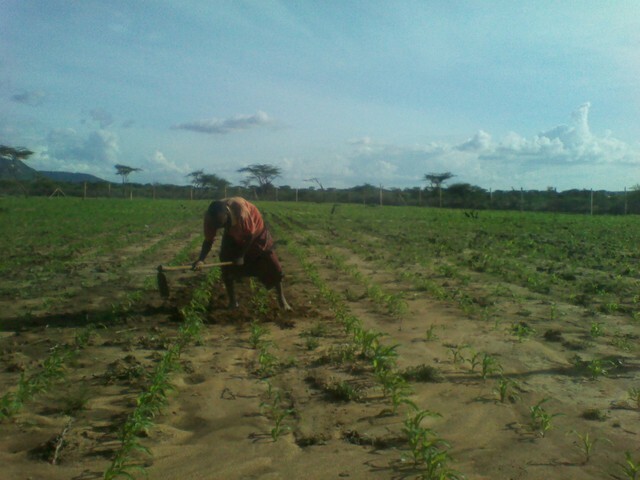 He went on to say that he was very happy and grateful to The Samburu Project for the agricultural project. 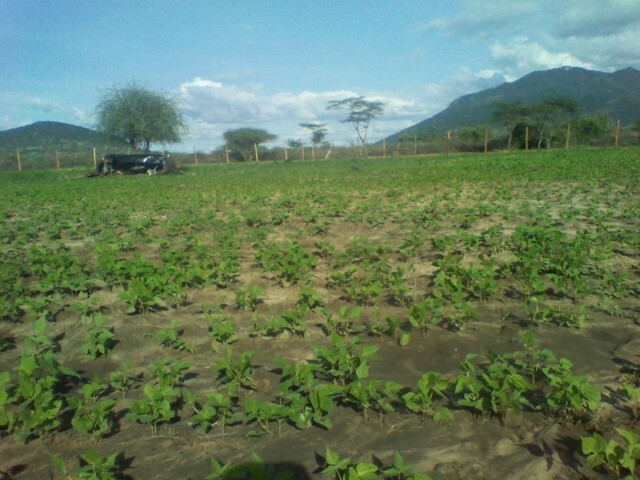 Iddi said that the Samburu people never knew that food could grow out of earth. 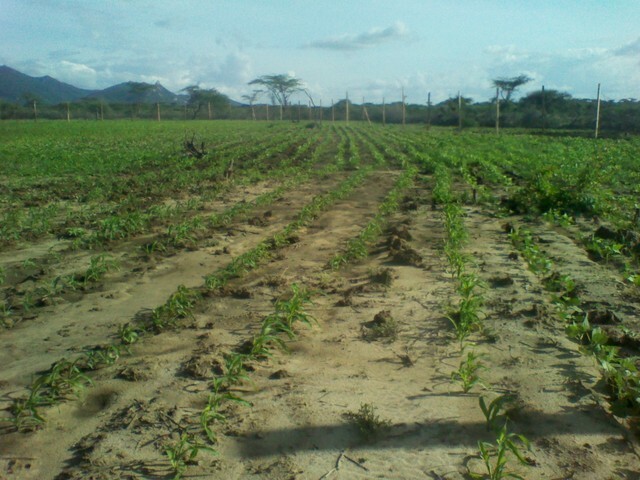 The thought of growing something and then eating those plants was very foreign to them because they are traditionally pastoralists. 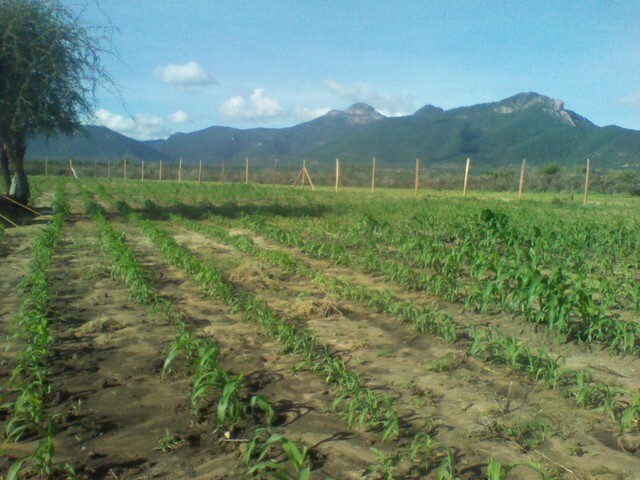 But The Samburu Project came in and taught them about farming and showed them that they have an alternative food source. 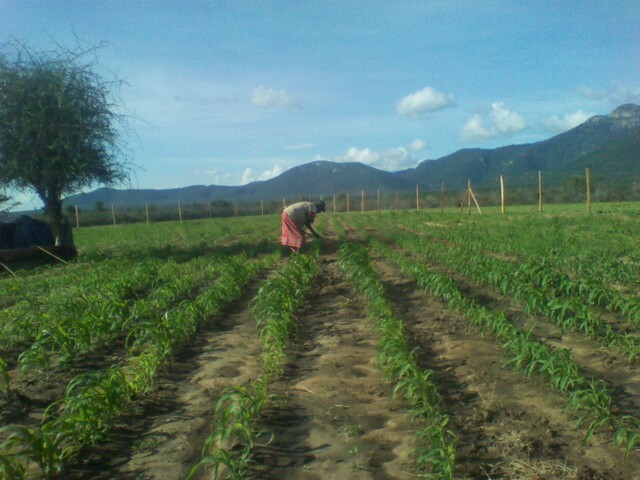 They have really benefited from this knowledge of farming. 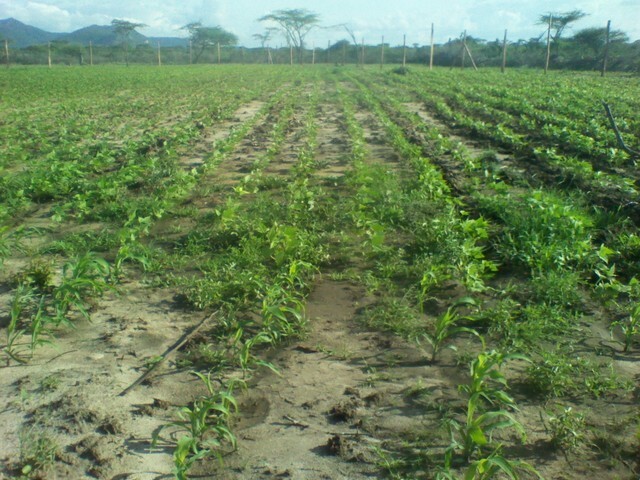 Last season was the first time this community planted; they were elated because they had a harvest! 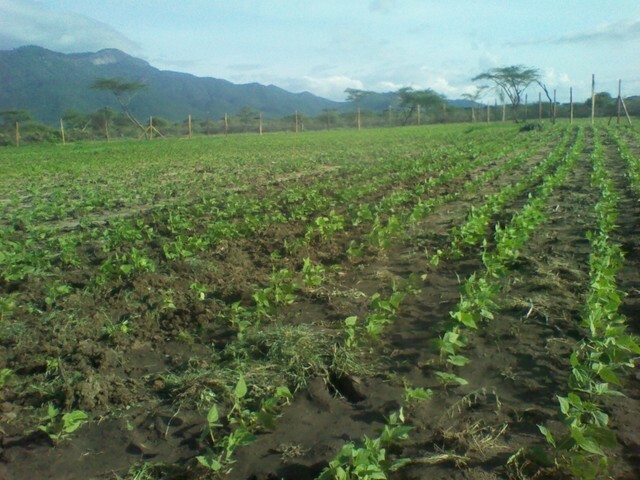 Though this harvest did not yield much due to the drought, they are hopeful that with the drip irrigation system, the yield will be very high in the upcoming years. 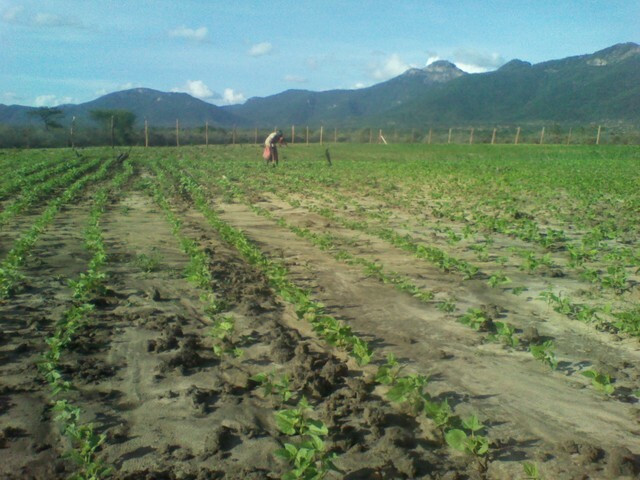 They are looking forward to the day when the drip irrigation will be completed. Recognizing that all parties want to complete this project as soon as possible, Iddi promised to go back to the community and mobilize them to finish the project as soon as possible. Which brings me back to my visit to the well. Before visiting the farm, Juma drove us to see the well first. 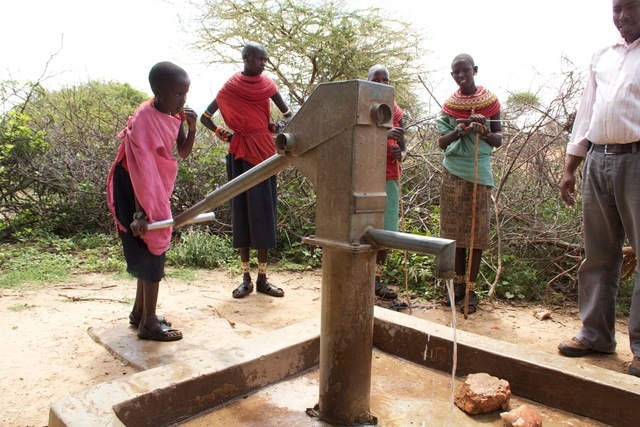 It was beautiful- there was natural bush fencing around the well, livestock were kept out, and the well was pumping water with such ease that the children barely had to pump the handle. Instead of interviewing one of the children, I had the pleasure to finally direct my questions at Paul who had been present in many of my well visits and had heard me ask these questions countless times before. He said that women either walked far distances to get water or they would dig deep into the river bed which is about 15 to 20 minutes away. But as Iddi had told me before, the latter choice was very dangerous and the water was incredibly dirty either way. Now that they have this well, 2,000 people use this well and Paul attests that there is always someone at the well from 6AM to 6PM every day. 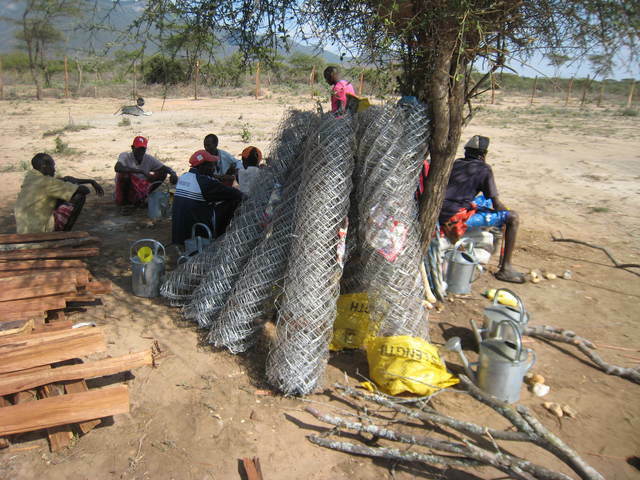 An example of how this community has really gone through great lengths to prevent any type of damage to their well is their solution to the challenge of elephants! During the drought season, elephants come to this area because they can smell the water and want to have a drink as well. 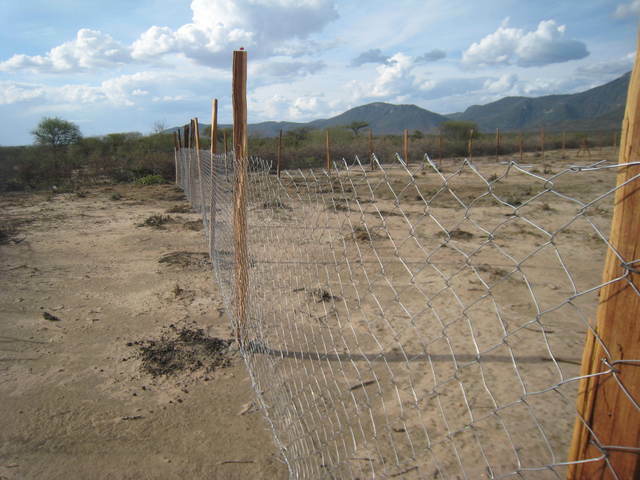 Instead of just letting the elephant trample through the bush fencing and destroy the well, the community dug a trench underneath the fence and a small hole outside of the fence where the excess water from the well flows to. 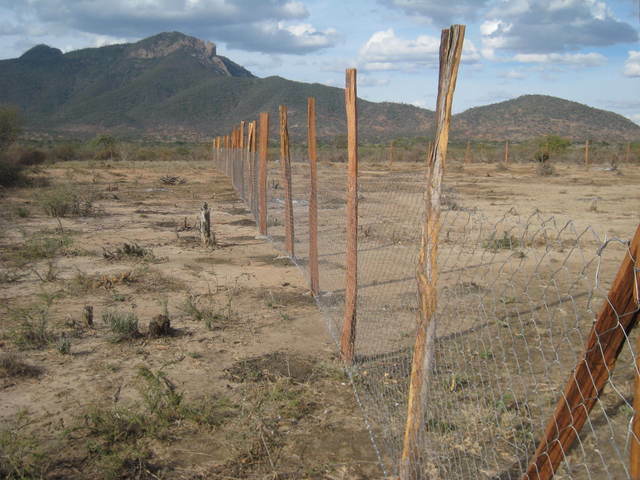 This gives the elephants a place to drink the water without having to go through the fencing and into the well area. We walked from the well to where the farm was, about 600 meters away, and I saw just how much progress they had made with digging the trenches for the pipes. The trench is at least one feet deep and about six inches wide and it looks so uniform! There are still some parts that need to be dug but for the most part it looks great and is almost ready for the laying of the pipes. As we walked through the gate to where the water tanks were, I was greeted by a group of women singing and dancing. Juma explained that they were welcoming me into this community and saying thank you for all the work that we have done for them- because of this well they are relieved of the burden of finding water and are able to do many other projects. I just stood in awe watching these women move and sing. I had seen pictures of this from Kristen before but to witness it firsthand was just incredible. 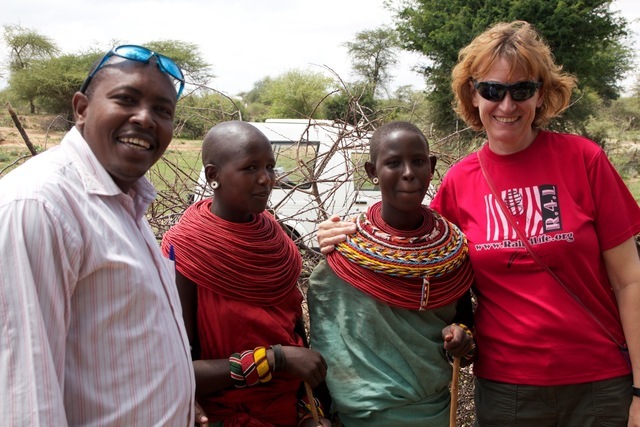 It made me truly admire the Samburu culture that much more. After about a minute of just watching, Juma encouraged me to join and there I was in the middle clapping and moving along with them. I will never forget that experience. 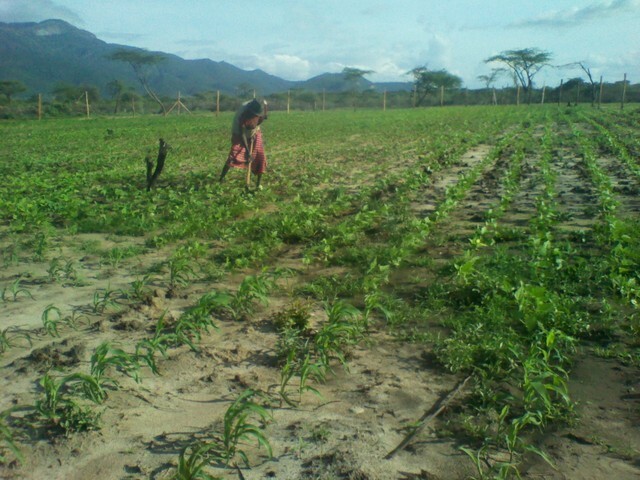 Afterwards we left the women at the tanks and Iddi and other men from the community showed me around the farm. 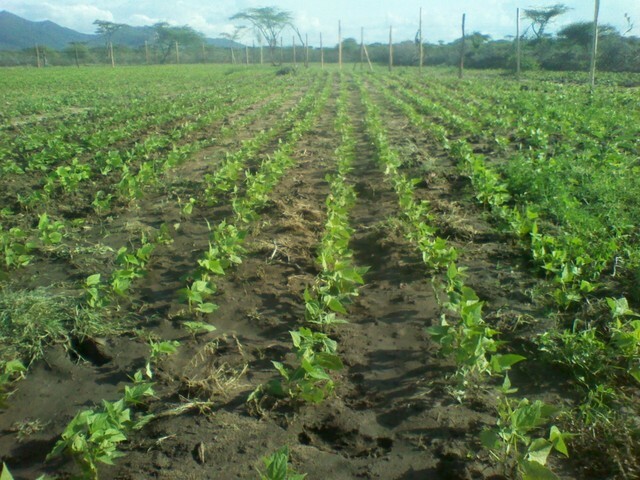 Most of what they are growing now are beans which are rain-fed crops. Unfortunately, this upcoming harvest will not be very good because despite the flooding a few weeks ago, there has been little rain for most of the year. 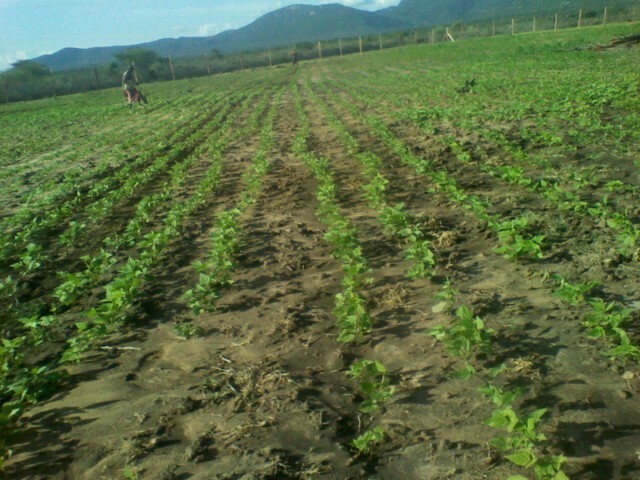 They are hoping that with the drip irrigation, their next harvest will be very plentiful. 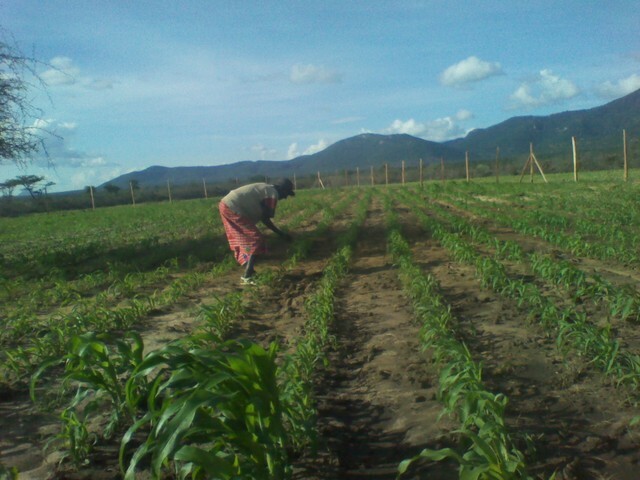 They currently are growing kale, tomatoes, spinach, and sorghum but are hoping to plant fruit trees and maize once this drip irrigation system is done. The farm has been extended to five acres!!! It is an incredible piece of land and I could see just how much time, effort and love they put into this farm. The visit ended with the women giving me a beautiful bracelet which Iddi kindly put on my wrist. You could tell that both parties were moved by the other. As we got back into the car, Juma said that he could see the change in my mood and could tell that I was genuinely touched by this community. On our way back to town, we gave one of the elders from Margwe community a lift. When I asked him what he thought about us hiring Paul, he said that he was very grateful for The Samburu Project for giving this opportunity to one of their own community member. 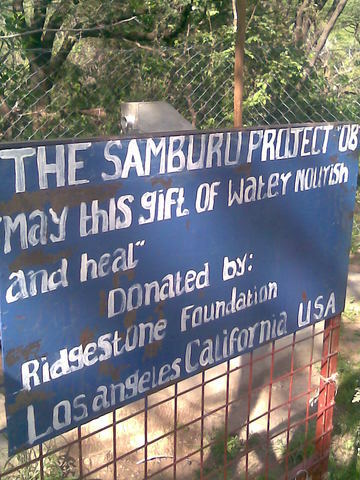 He was so thankful for all that The Samburu Project has done and continues to do that he said he would even give Kristen and me a parcel of land here. You know, I may take him up on that offer! This was the first well we visited and we were met by 3 beautiful local ladies who were very shy but obviously very happy to have their new well. Previously people had to walk a long way for water and they were often sick. 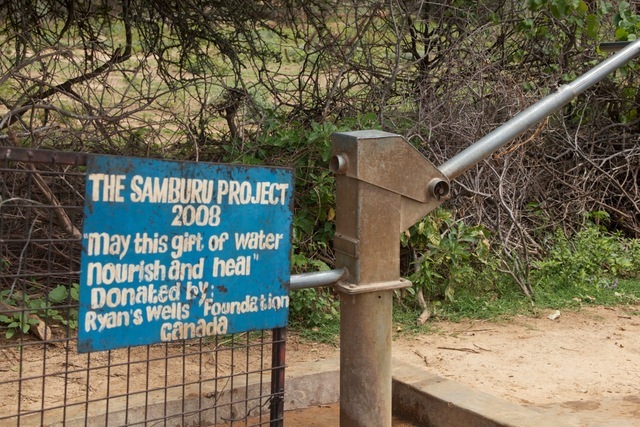 The well is located centrally, with about a 5 minute walk for most people. The water is easy to pump and very clean. Now they have time to graze their animals. -The well has broken twice. Both time the rubbers wore out and were replaced. The well is becoming harder to pump meaning that the rubbers are wearing out. -The fence was stolen by townspeople. 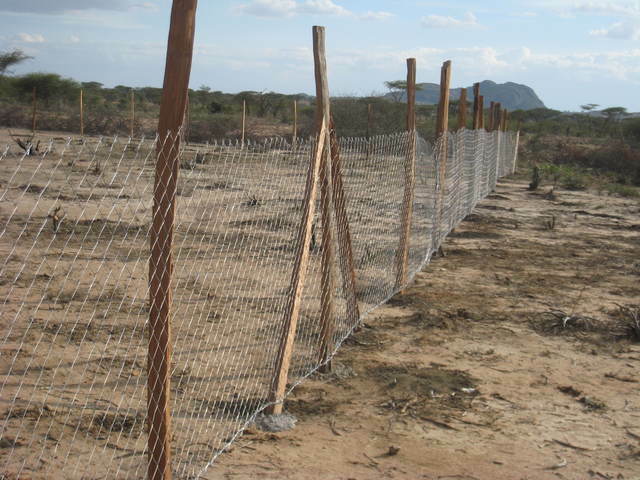 -Need to keep spare parts on site and install a permanent fence. 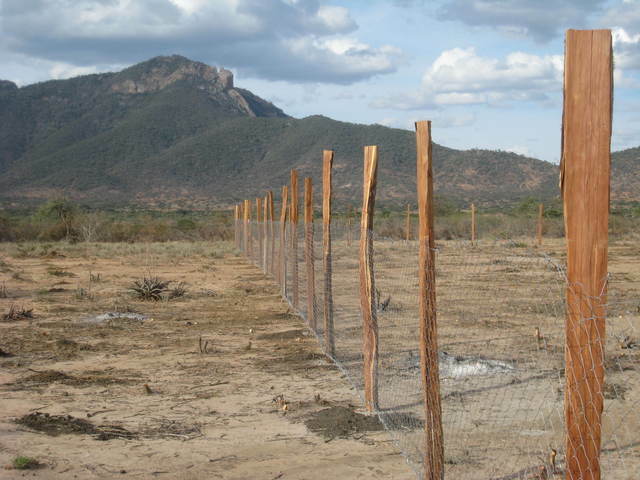 -During a drought a watchman sleeps by the well every night to protect it from elephants. Livestock now has water to drink during droughts. Women now have time to go to town, buy food and look after their children because they do not have to walk long distances to fetch water. Girls now have time to go to school because they no longer have to fetch water with their mothers.